Experienced Family Law Attorney in Pittsburgh, PA - Ronald F. Lawry, Esq. 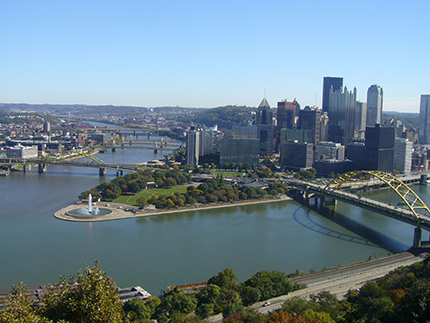 Attorney Pittsburgh, PA - The Law Office of Ronald F. Lawry, Esq. The Law Office of Ronald F. Lawry was established to provide personalized, experienced and dedicated service to individuals at a critical time in their life – the end of their marriage, when issues such as your property, finances and most importantly time with your children – are at stake. My law practice focuses on family law and the areas related to marriage and children, including divorce, custody, child support, alimony, property distribution and protection from abuse orders. I believe that by focusing on one area of law, I can provide the best level of service for you during a time when decisions will be made regarding the most important aspects of your life – your children, your finances, and your property. When children are involved, I will work aggressively to make sure that you will always play an active role in your children’s lives. My firm also works with each client to make sure that they receive a fair distribution of the assets acquired during the marriage and are not assigned an unfair allocation of debt. Together, we can also seek child support and alimony when called for so that you can move forward with your life with the appropriate finances available to you. I can help you through this critical time in your life. Call Ronald F. Lawry, Esq. today at 412-445-2272 to get us working on your case. "I understand each person has their own schedule, and I’m available by telephone, email or in person meetings at times that are convenient for you." The Law Office of Ronald F. Lawry, Esq. is located in the North Hills area community of Emsworth, conveniently between Bellevue and Sewickley. The office is less than 20 minutes from downtown Pittsburgh, and approximately five minutes from exits of both Interstate 79 (Emsworth/Sewickley exit) and Interstate 279 (Camp Horne Road exit). The office is on Route 65, and free parking is available. The office is easily accessible from Franklin Park, Ohio Township, McCandless, Ross, Robinson, Moon Township and Coraopolis. We handle cases in Allegheny County, Beaver County and Butler County. We are conveniently located less than 20 minutes from Downtown Pittsburgh, Robinson, Moon Township, Crafton, Sewickley, Wexford, Cranberry, North Hills and many other areas north and west of Pittsburgh.